You could need a police report for a foreign visa, for example, or for a variety of other legal reasons. If you do need proof that you’re not a criminal (at least not here in Spain that is), you’ll need a police report from the Spanish authorities. 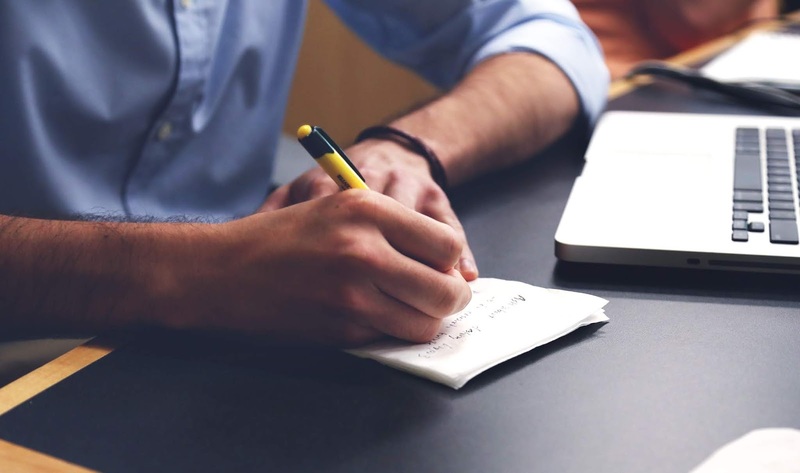 Here’s a step-by-step guide to getting your official “certificado de antecedentes penales”. Go to the Ministerio de Justicia, which is located in the Plaza de Jacinto Benavente, very close to Cine Ideal. They are open until 5pm, but the banks close at 2pm (see below), so I recommend going before 1pm to get this all taken care of in one visit. Pick up the appropriate form in the entry way (the one that says antecedentes penales). Fill out the form. It’s basic info like name, address, etc. Go to a local bank, there are a bunch near the Ministerio, such as the Caja Madrid on Calle Carretas, and pay 3,54 Euro. You need to have the form filled out before they will process the fee. You do not need to have an account at the bank to process this. After the bank stamps your form, go back to the Ministerio de Justicia and take a number from the machine. Make sure you select antecedentes penales from the options on the screen and it will print the appropriate ticket. When your number is called, go to the window. Have your passport with you, as you will need to show it to the representative. You will also need to state why you need the report. The representative will print the report. Then you sit again and wait for your number to be called again. When it’s called the second time take the report and go to another desk. The person here will place an Apostille on the back side of the report. And, wha la! You are in possession of proof that you are an upstanding citizen here in Spain. I arrived in Madrid two months ago and already feel sad when I think about returning to France in August. There are many explanations for this (the warm weather, beautiful city, holidays and markets etc) but there was one very specific reason everything went well from day one: my first Spanish night out immediately introduced me to the people who became my friends here and gave me a feeling of confidence in a brand new, otherwise strange city. 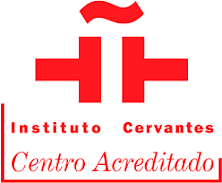 And the event responsible for this seamless integration was none other than the Fiesta con AIL in Madrid organized by my Spanish academy, AIL Madrid. You may be wondering, “what’s that, ‘Fiesta con AIL?” I would answer: certainly the most fun way to practice Spanish. Every Friday night at 10pm, AIL students, teachers, and team meet in a cool bar (the place changes every week) in order to spend time with each other and meet new people while enjoying some good drinks. 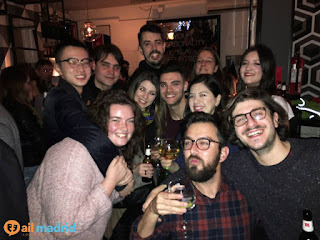 This is by far the best way to meet people in the same situation as you; recently arrived in Madrid, looking to improve their Spanish skills, and open-minded/looking forward to making new friends. I’m a prime example of how well it works: I set foot in Madrid on Wednesday and, thanks to the following Friday Fiesta con AIL, immediately had exciting Saturday night plans with new friends! 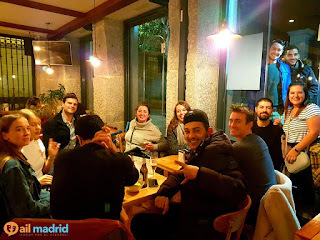 Now, I’m a regular: there’s no better way to celebrate the arrival of the weekend than by gathering with your friends in a good atmosphere and meeting new people who will enrich your stay and allow you to practice your Spanish. This is the most anticipated event of the week for AIL students, making AIL an unique group of friends that offers so much more than just Spanish classes. 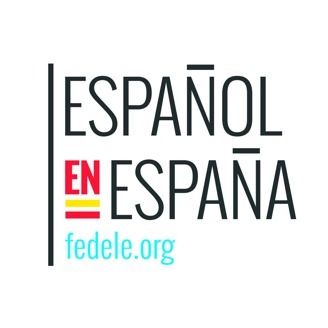 If you’re feeling particularly enthusiastic, many students also go to the Se Habla Español Intercambio on Thursdays, which provides another great occasion to see familiar faces before Fiesta con AIL on Friday. The bottom line is that I can’t recommend a better way to make friends and learn Spanish at the same time than by becoming an AIL student, so I look forward to see you on your first Friday in Madrid! Life at night is part of the appeal of Madrid, a time when the streets are often as busy as they are during the day, just with more laughter, shouting, and high heels. However, once the clock chimes 1:30, the trusty metro system turns into a proverbial pumpkin: if you aren’t on a train by this hour, there is a good chance there won’t be another one until 6 AM. Thus, understanding the Night Buses in Madrid. This system is an integral part of staying out late and getting home in one piece. 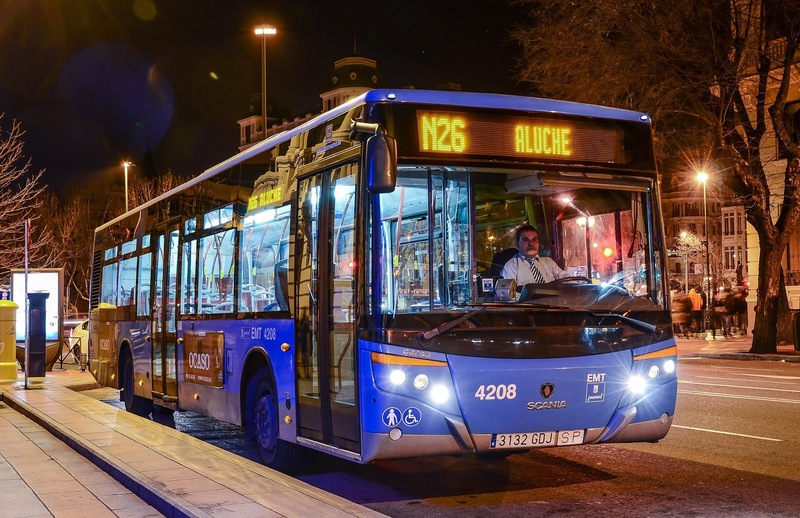 N-buses, or Los Búhos (the Spanish word for owls – cute, huh? ): These are 24 buses named with an N in front, all of which center their operations on the Plaza de Cibeles in the center of town and radiate out. These are a good choice if you have been out in the center and everyone in your group is heading home in different directions without prior planning; the various bus stops around the plaza clearly advertise where each búho goes and can help you find the one that will take you home. After your first trip on a búho, save that number: if the N7 bus takes you home, start mentally noting the stops so you don’t always have to head back to Cibeles in order to catch the N7 home. Obviously, taxis in this city are not that expensive, and it is always a good idea to cultivate friends in the middle of town who have comfy couches or extra bedrooms where you can sleep off a long evening of fiesta, but knowing your above-ground options allows you to prolong your night. A good option if you don’t have time to memorize a new bus route before a night out is to download the Android app that lets you look up bus routes near your location. 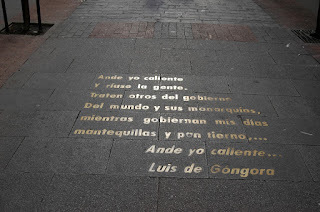 We have enjoyed living in our neighborhood in Madrid, Barrio de Las Letras or the Neighborhood of the Writers. There are so many things to think about when selecting where to live in Madrid. I can at least guide you through this wonderful historic district. 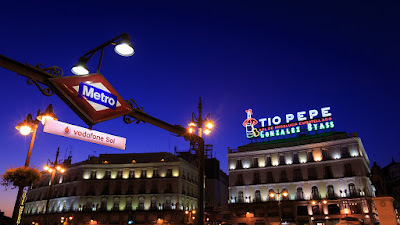 We live in the heart of Madrid, and thus the oldest and arguably the most historic part as well. Bordered by Plaza de Sol, Prado, and the Reina Sofia Museum of Modern Art, this area is easily accessible by line 1 on the metro or about five different buslines that run up along in front of the Prado. The buildings here were built as far back as the late 1500’s, but most have been gutted and updated inside, while the historic exteriors remain. For instance our building was built around the same period, but as a single family townhome, and then it wasn’t until the 1980s that it was converted into apartments. Pluses for this is that it has newer plumbing and electrical, and the original exterior walls are about a foot thick. The Cons for some of these buildings is that they are smaller apartments than in some of the newer neighborhoods, thus most apartments in our area are only one or two bedrooms. Our area is a very working/living neighborhood, in the sense that most of the owners in our building own businesses down below such as a hair salon or the drycleaners. It also a very traditional area in the sense that a lot of stores observe siestas, Spanish holidays and are closed on Sundays. The closest “true” supermercado is about a ten minute walk to Sol from our place, so I do most of my food shopping the true European way, by buying my meat in one store, fruit in another, and cheese in another shop. Another plus to this neighborhood is that all the narrow streets are closed off in the evening to traffic, only taxis, neighborhood residents, and emergency vehicles have a pass card to get through. 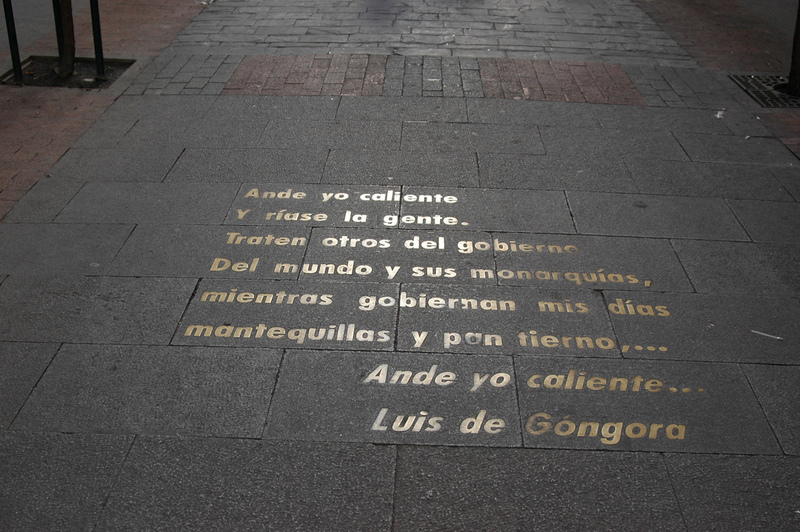 This really makes the area conducive to outdoor cafes, and the typical 5pm Spanish stroll. Plus, it keeps it quiet in the late evenings. The exception being Huertas, of course, which is lined with bars, small clubs and traditional Spanish restaurants all with the black wrought iron that reminds me of the French Quarter in New Orleans. Barrio de Las Letras is great area to live in if you like to be near all the culture during the day and tapa hopping by night all with a mix of traditional and eccentric locals, as well as tourists. Good luck if you are in the process of finding an apartment in Madrid. One of the best and most difficult things about living abroad can be making new friends. Fortunately, there are plenty of clubs and groups in Madrid which will help even the shyest “guiri” to meet new friends. Here are some of my favourite resources to help you meet new friends, acquaintances, and even business contacts. Some of these groups charge a membership fee, so I’d recommend that you attend at least one event as a guest before joining to see if the group is right for you. The INC of Madrid (the International Newcomers Club) is a group which hosts weekly activities for expats living in Madrid. The full year membership will cost you 85 Euros, but they also offer a half year option for 50 Euros. Meetup.com helped me to meet great friends when I was new to NYC and has also helped me find people with similar interests here in Madrid. The best part is that if you don’t find the group you are looking for, you can make your own. The AWC (American Women’s Club) has been where I have met some of the most interesting and wise women. These ladies will offer a shoulder to lean on, give you guidance when you need it, and are a heck of a good time! There is an annual fee of 88 Euros and they offer various activities to keep you busy throughout the week. InterNations is an invitation only web-based organization. The events I’ve attended consisted of a diverse crowd, each time there were between 200-300 attendees in a centrally located venue. If you have little kids and want to meet other parents in Madrid, check out Sticky Fingers Playgroup. They meet every Tuesday and Thursday morning at a local park. Globiles is another invitation only group which caters to business professionals. It is a new venture which helps connect international professionals who are currently living abroad or would like to make the big move. The American Club of Madrid is a good networking source for established professionals. There is an annual fee of 100 Euros, but check with your company to see if they are already a member. 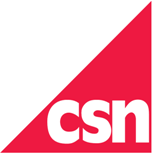 They host monthly events and various special occasion events per year. Volunteer your time at your local school or check Idealist.org. They have volunteer opportunities listed in several countries, including Spain. Practice your Spanish. If you want to practice a new language with others, check out the language intercambio, Madrid Babel. Each Wednesday and Sunday evening, you can find plenty of people to practice various languages with. Get some fresh air! There is a fantastic hiking group in Madrid for people of all skill levels. The hikes take place on the weekends and offer a unique alternative to the usual crowded bar events. When I arrived in Madrid I was surprised not only by its young and international vibe. The huge mix of cultures and the abundance of the trendy spots found in the Spanish capital amazed me. Like in many global cities, people there take full advantage of Madrid Vintage trends, and not just in hip areas. So if you’re looking for something different, you can find this particular style in many shops. Clothing stores, cafes and restaurants, bars, etc: Madrid’s vintage world is a cool, fun way to discover the city. You’ll enjoy your time here! With that in mind, here are a few of my favorite spots that I deeply recommend visiting during your stay! 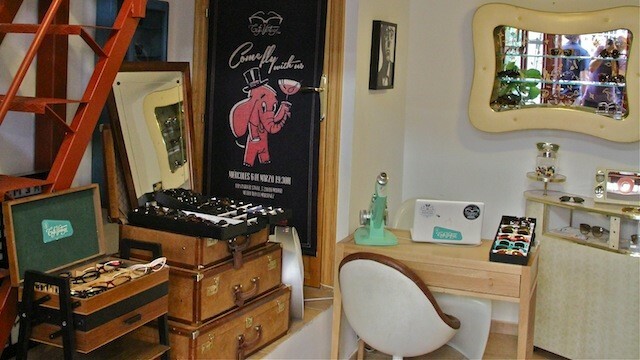 Located near Atocha railway station, this shop specializes in vintage clothing for everyone. If you’re looking for any trendy piece dating back to anywhere between the 50s to 90s, then you’ll find your paradise! Located by Opera metro station, this totally vintage shop will submerge you in history up to the eyes! This pretty jewel for all hipsters and people suffering from nostalia is actually more than just a boutique: we can consider it as a museum, thanks to its exhibitions of cool shades! There you can achieve any of your wildest dreams by wearing the same trendy piece as your throwback idols. On the corner of the very active Plaza de San Ildefonso in Malasaña, you will find this small but trendy restaurant that serves hamburgers, sandwiches and a little kindness to the many modern locals who continually select it as a meeting point. Vintage decorative items and a chill atmosphere enhance tasty Mexican dishes or simple drinks! This is one of the most curious places in Madrid. When you enter into this bar, you will discover you’re really on a train. The dark wood chairs are spacious and comfortable and screens hang on the wall to emulate windows from which you can admire landscape passing by outside… all aboard! This small vintage café of the very center of Madrid (Tribunal/Gran Via), hosts all kinds of different events events thanks to the infinite creativity of the owner: small markets, shows, artists exhibitions, presentations, miniconcerts…The majority of the clients are young, modern and cultivated!